One of the requests I hate to get from events is “can you type up the flipcharts?” This request means that I have to carry lots of paper with me and then balance it on my desk as I try to type it into some kind of coherent order. With the aid of Google’s excellent free on line photo album, Picasa (www. picasa .google.co.uk ) I no longer need to do this. As I facilitate a group I take photographs as we go along of any “outputs” This could include activities involving sticky notes, it could be group activities where each group has written their own flipchart and it could be flipcharts I have written in response to suggestions from the group. When I get back to my office I upload the photographs into Picasa on my computer and I can crop the photographs to eliminate bits of door, window which are unlikely to enhance the learning. I then upload the photographs to the web albums and create a private album for that group. I can put captions and messages with the pictures so that they give more explanation if needed. 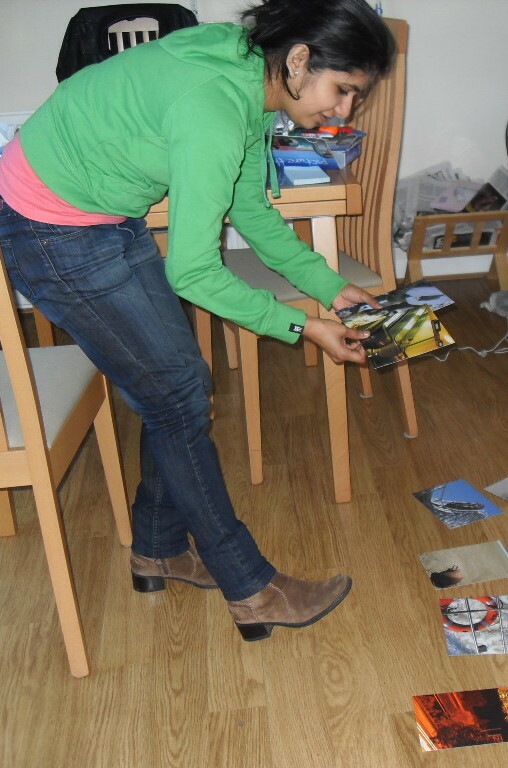 I can put the photographs in an order which helps make sense of the learning. I can then send a link to the album in a follow up email to the participants. If individuals want to use the outputs in a report they can either insert the photographs or they can use the photographs to make their own transcript of the event. Only the recipients of the link can view the photographs and I do stressed this when checking at the beginning if they are ok if I take photographs. One of the additional benefits to keeping on line albums for each group is for my own professional development. I was reviewing some of my albums last week and I could see themes emerging in the way I was working with groups, over the last 2 years my outputs have become more visually orientated. They are in amazing vibrant colours and really do stick to the walls. I think having these in my tool kit has opened up some different approaches to team facilitation than the old style “brain dump” onto Post It Notes. I have also been using image cards from St.Lukes Resources http://www.innovativeresources.org/ which are beautiful and enable groups to explore visual metaphors. It is fascinating to see this change in my portfolio so I recognise that the Picasa albums are part of my Continuing Professional Development log as well as being a great way of helping groups to keep a visual record and from enabling me to politely say “no I don’t type up flipcharts but I do provide a visual record”.